Terry Evans is known for her photographs of the people, landscapes, and artifacts of the American Midwest. She grew up in the heart of the American prairie, inspiring her lifelong passion for the Great Plains, which she has photographed since the mid-1970s. Evans’ work provides us with an insight into the complexities and contradictions of this environment, particularly in her native Kansas. 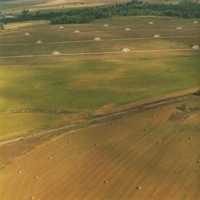 For Inhabited Prairie, a series of black and white aerial photographs taken between 1990 and 1994, Evans documented the changes that have been wrought on the Kansas landscape through farming, industrialization, and military use. 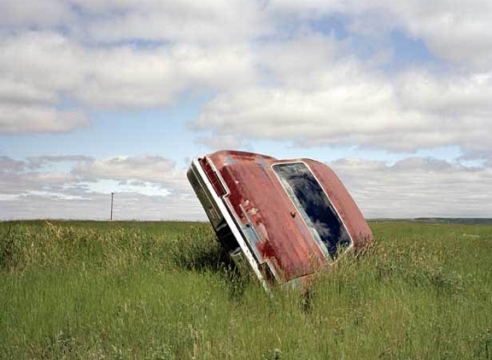 Prior to this, Evans had only photographed the untouched native prairie. Working close-up and on the ground, earlier series such as Prairie Specimens and Prairie Scrolls reveal the rich diversity of wildlife that exists within the prairie, contrary to its mainstream characterization as a vast expanse of dry grassland and bales of hay. Most recently, in Petcoke vs. Grassroots in Chicago, Evans investigated petcoke production in Chicago and beyond, pairing aerial photographs of the BP oil refinery in Whiting, Indiana, and petcoke storage sites in the Calumet region, with portraits and testimonials from activists and community members on the Southeast Side of Chicago. Born in 1944 in Kansas City, Terry Evans was made an Honorary Doctor of Arts at the University of Kansas, where she received her BFA, in 2016. 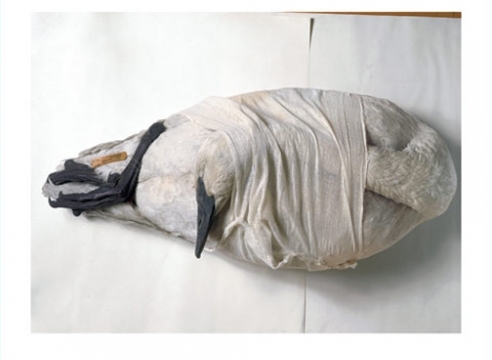 She is a Guggenheim Fellow (1996) and a recipient of an Anonymous Was a Woman award (2006). 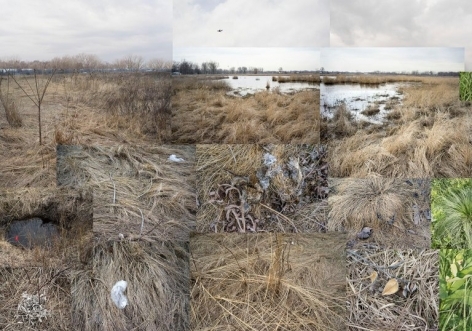 Several books have been published on her work including Prairie: Images of Ground and Sky (1986); The Inhabited Prairie (1998); Disarming the Prairie (1998); Heartland: The Photography of Terry Evans (2012); and Prairie Stories (2013). 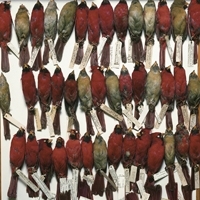 Evans has exhibited widely, including at the Art Institute of Chicago; the Smithsonian National Museum of Natural History, Washington, D.C.; Nelson-Atkins Museum of Art, Kansas City; and The Field Museum of Natural History, Notre Dame, Indiana. Her work is in major museum collections including the Art Institute of Chicago; Museum of Modern Art, New York; San Francisco Museum of Modern Art; Smithsonian American Art Museum, Washington, D.C.; Whitney Museum of American Art, New York; and the Museum of Fine Arts, Houston, among many others. TERRY EVANS | SMITHSONIAN AMERICAN ART MUSEUM, RENWICK GALLERY, WASHINGTON D.C. 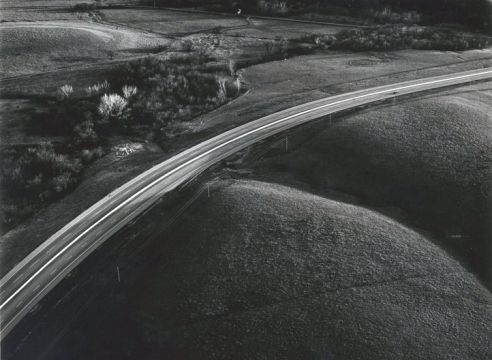 In 1974, with a grant of $5,000 from the NEA, No Mountains in the Way was organized by Jim Enyeart, then curator of photography at the University of Kansas Museum of Art. He and Kansas natives Terry Evans and Larry Schwarm—all artists who have attained considerable achievement in the intervening decades—travelled the state, photographing whatever struck them as representative. Each worked on an assigned theme. Enyeart focused on buildings, Evans on people, and Schwarm on the landscape. 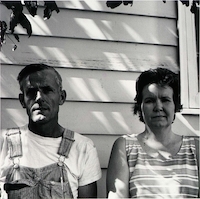 Their collective visions combined to poetically reflect place, culture, and custom in Kansas. The exhibition and catalogue were presented in 1975. Artists both native to Nebraska and those traveling through have been struck by the vast land and sky of the prairies. This exhibition focuses on works that utilize large-scale formats to capture that seemingly limitless sensation as well as the intricacies that lie therein. James Enyeart, Terry Evans, and Larry Schwarm--artists who have attained considerable achievement in the intervening decades--each examined particular aspects of the Kansas rural environment. Their collective visions combined to poetically reflect place, culture, and custom in Kansas. The Amon Carter Museum of American Art has commissioned over 40 large-scale photographs by Terry Evans for their exhibition, Meet Me at the Trinity, on view August 30 - January 25, 2015. 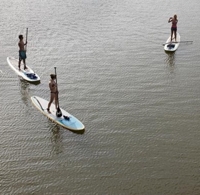 The solo exhibition addresses the culture of the Trinity River in Fort Worth, Texas, focusing especially on the people drawn to its banks. 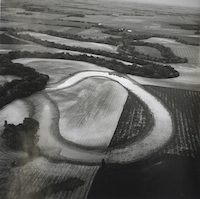 Heartland: The Photographs of Terry Evans is on view currently at the Nelson-Atkins Museum of Art in Kansas City, MO. 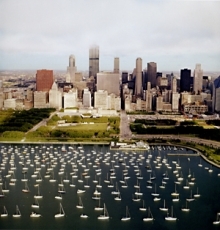 The exhibition is the first career retrospective of Evans' work and includes over 100 color and black-and-white photographs from 1971 to the present. The exhibition is accompanied by a fully illustrated, 250 page exhibition catalogue. 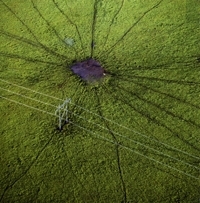 An exhibition of works from Terry Evans' series Matfield Green Stories is on display at the Ulrich Museum of Art at Wichita State University, through November 27, 2011. 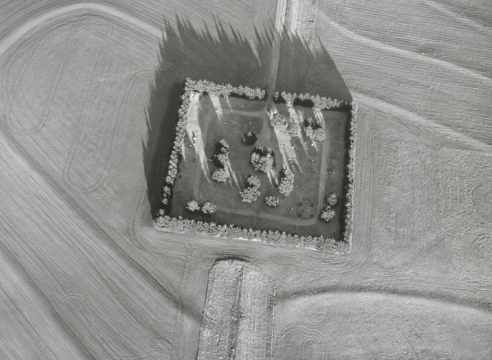 The tiny town of Matfield Green, located in the Flint Hills of Kansas, is the subject of Evans' series of aerial landscapes and intimate portraits of the town's 50 residents. Terry Evans invited for a major retrospective show in 2012 by the Nelson-Atkins Museum of Art, Kansas City, MO. The work of Terry Evans is currently featured in Picturing Modernity: The Photography Collection, an ongoing exhibition at the San Francisco Museum of Modern Art.